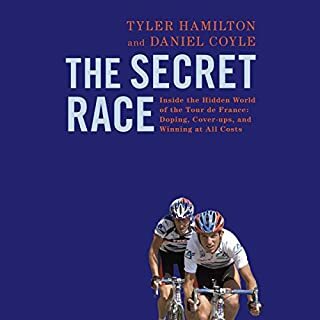 In this updated edition of the highly acclaimed Tour de France, Graeme Fife sets the 2012 race in the context of the event's remarkable history, stretching back to July 1903. Combining meticulous research with a pacy narrative style, he penetrates the mystique of the race and paints a colourful picture of the men whose exploits have given the Tour an enduring universal appeal. Moreover, the book now celebrates a truly historic event: The 99th edition of the race was won, for the first time, by a Briton. Odd book - little flow. The Velominati embrace cycling as a way of life, as obsessed with style, heritage, authenticity, and wisdom as with performance. This is their bible. The Rules is an essential part of every cyclist’s kit - whether you’re riding to work or training to be the next Bradley Wiggins or Victoria Pendleton. Winning awards and gaining millions of viewers, Velominati.com has become an online cycling mecca. 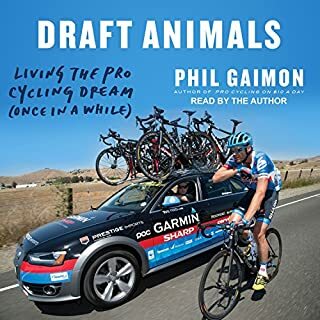 In 92 canonical rules, these masters of the peloton share tips on gear, tell stories from cycling’s legendary hardmen, and enforce the etiquette of the road - with a healthy, often sinister sense of humor. Practical and motivating (Rule #12: the correct number of bikes to own is N + 1, where N is the number of bikes currently owned), unflinching and authoritative (Rule #9: If you’re out riding in bad weather, it means you are a badass. Period. ), The Rules will help listeners find their cycling passion, whether it’s in high alpine passes or tight velodrome races, in the garage before the ride or in the bar afterward. Vive la Vie Velominatus. ©2014, 2013 Velominati. 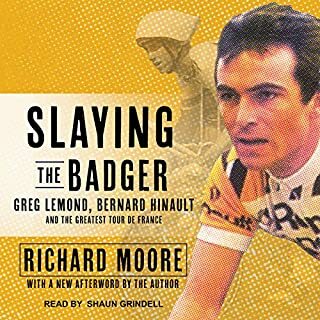 Foreword by Greg LeMond (P)2014 Audible, Inc. This book was hilarious and insightful on the unspoken rules of etiquette and looking good. If you cycle then you should learn these rules. I am new to cycling and have only been riding my road bike for less than two months. I adored this book enough to listen 3 times so far! I took the pink "posterior man satchel" off the back of my seat and my bike thanked me. It was ruining the lines of my amazing machine. When my legs are shaking and lungs are screaming on the slightest of upgrade, I remind myself of Rule #5. When my friends tease me about using toe clips instead of "lipless" pedals I now post pictures of Eddie Merckx and tell them that he did just fine. I had never followed anything about cycling or than the news about the infamous yellow bracelet guy. I have now been learning all about the greatest cyclists and I am so inspired. I will probably listen the book a few more times on long drives because it makes me laugh every time. I am a beginner triathlete and the rules regarding cycling after a swim and before a run just made my day. If you ride a bike, get this. If you ride a bike, you should listen to this. Narrator is perfect. If you find that you don't like this, or worse yet, you don't get it. Sell your bike and go play tennis. 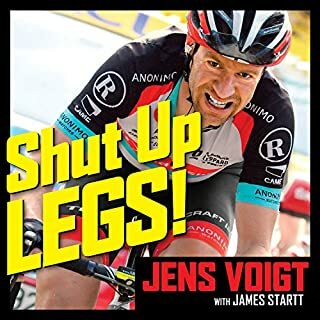 Every cyclist should hear this book. 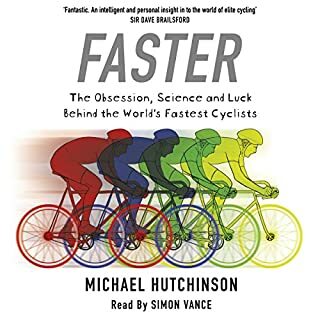 Every cyclist should give a copy of this book to the new hard charging young bucks in the group ride. 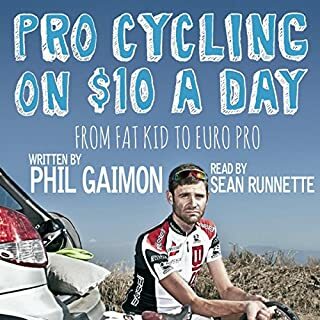 Funny, entertaining and a must read for every cyclist. This was a fun and entertaining listen. Maybe especially for those with experience within the world of cycling or the bicycle industry in general. Highly recommended for current and aspiring cycling purists. If you're a cyclist get this. Filled with funny and entertaining rules for cyclists. 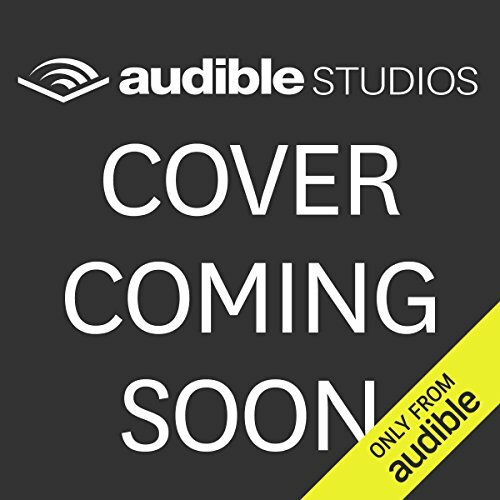 Best read story as well of any audio book I've listened to. Some parts had me laughing out loud. There are few audiobooks that cause me to laugh out loud - this is one of them. Although wearing headphones during a ride is officially a violation of the Rules, I can't think of better entertainment while out there suffering. Bravo! Hysterical - a snoberific masterpiece who's hilarity is magnified by the one and only Sean Runnette. A must-have for any cyclist, unless your initials are LA. a tongue and cheek sort humor poking fun at cyclists, while introducing the proper ettiquette of group riding. For those who dont race or group ride, some rule ideals dont quite apply. Just dont take this book too seriously and its an enjoyable read.